Video: What Does PurPle Mean To You? MSLGROUP is Publicis Groupe's flagship strategic communications and engagement network. and a leading agency offering trusted advice and unbounded creativity and value in the always-on conversation. 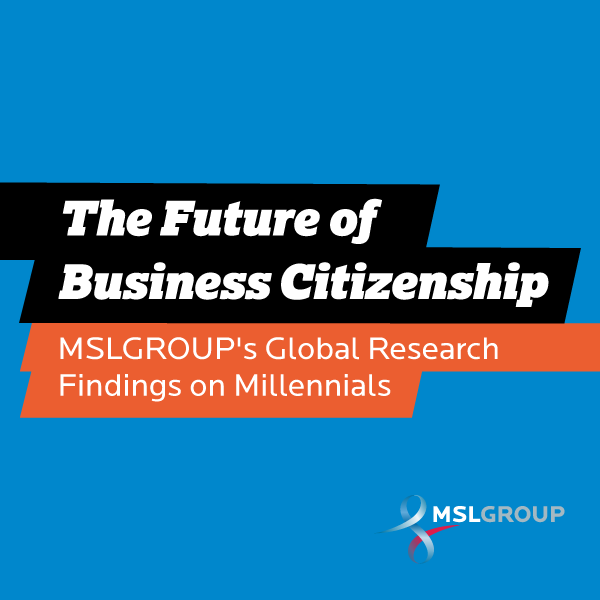 MSLGROUP brings together industry-leading experts, cutting-edge tools and global reach to provide comprehensive solutions not found in traditional public relations firms. Through its signature methodology, PurPle (Purpose + People) MSLGROUP'S global Corporate & Brand Citizenship Practice is uniquely helping move industry leading companies and brands from corporate social responsibility and cause marketing to collaborative social innovation to drive more rapid and meaningful change in society and in business. scott.beaudoin@mslgroup.com or Anne Erhard, SVP/North America 781 684 6674, anne.erhard@mslgroup.com.